The interim funding has not been forthcoming thus far, and as a result Jet has extended cancellation of international operations until April 18. 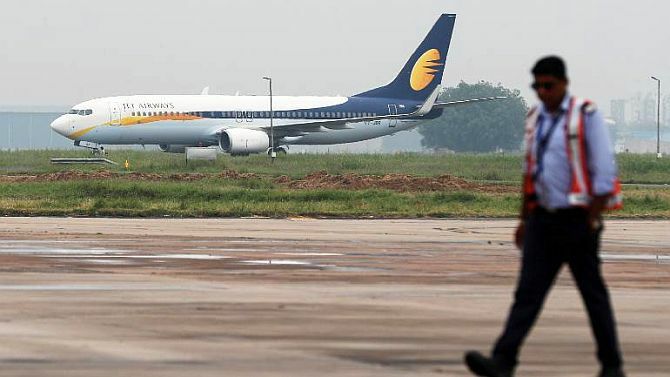 Jet Airways' survival remained under serious threat after its lenders on Monday deferred a much-anticipated decision to provide emergency funds to the carrier following a marathon meeting, even as its pilots' union appealed to the lenders and the prime minister to save the airline. Jet Airways pilots' union, the National Aviators Guild had on Sunday deferred a decision to strike from Monday saying that it wanted to give more time to the airline ahead of the lenders' meeting in Mumbai. Citing procedural delays, banks have so far disbursed only under Rs 300 crore that too in small amounts. The airline's pilots along with engineers and senior staff were last paid for December 2018. This apart, the airline has also defaulted on the March salary of other categories of employees as well. "We would like to appeal SBI to release Rs 1,500 crore funds to help the airline continue operations. We also appeal to Prime Minister Narendra Modi to save 20,000 odd jobs at the airline," NAG vice-president Asim Valiani told reporters at the airline's headquarters in Mumbai.